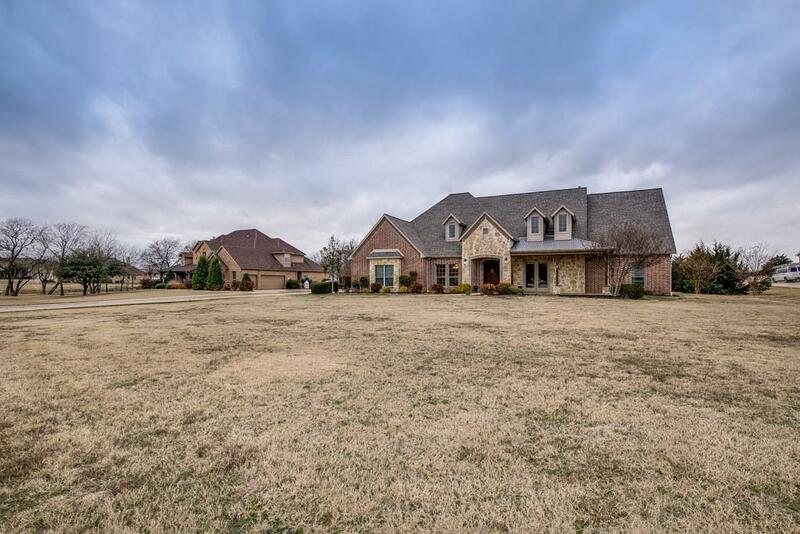 Stunning custom home located in the sough after acreage neighborhood of High Point Ranch. Rockwall ISD! 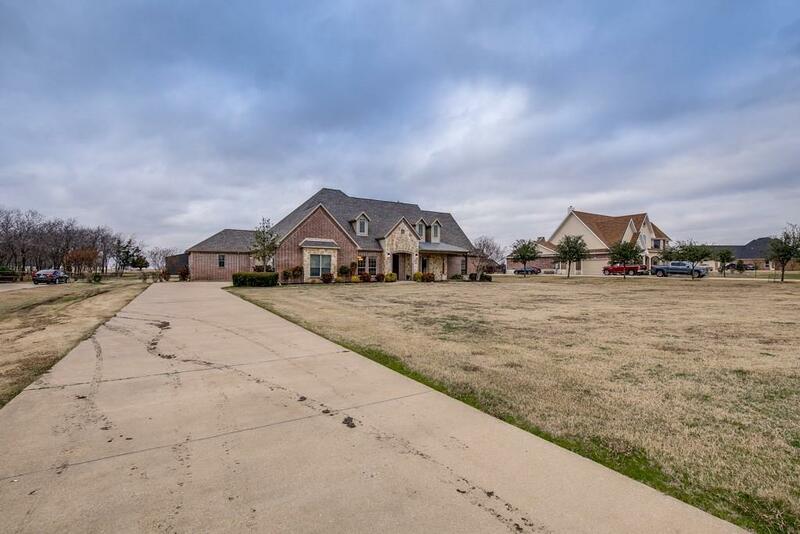 This beautiful home features an elegant curb appeal with brick & stone elevation, stone boarder around the luscious landscaping & a large front porch. NEW paint! The open concept floor plan has a ton of space for everyone! Everything is on the first floor besides the game-media room. It also offers split bedrooms, huge office and a guest suite with its own bathroom. Spacious living room with gas log stone fireplace. The master suite boast dual vanities, jetted tub & dual closets. 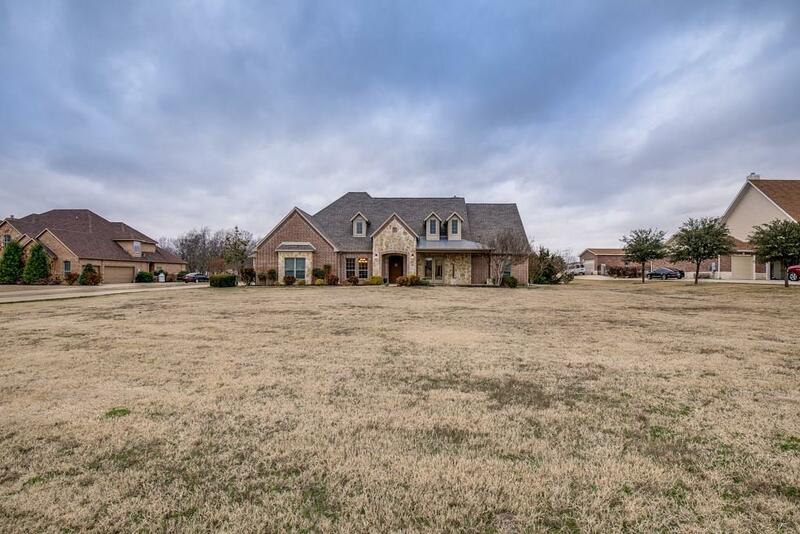 Step out back on the flagstone patio overlooking the huge 2 acre lot with pond! Brand new 30x35 shop just built! New roof in 2015! 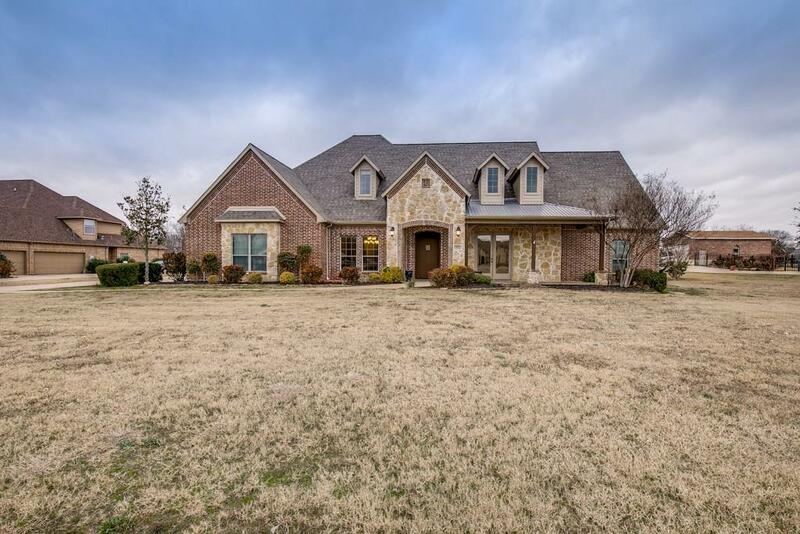 Offered by Aaron Stokes of Keller Williams Rockwall.